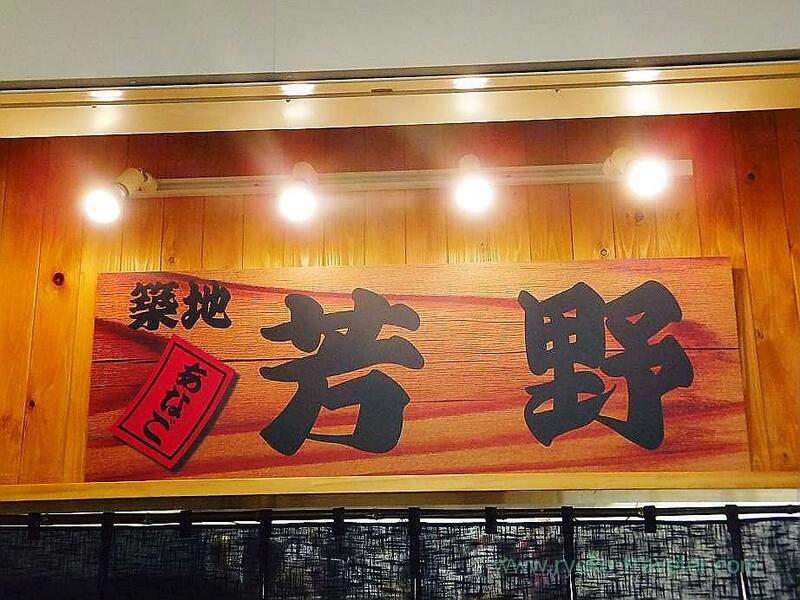 Saturday’s Tsukiji is enjoyable ! t was really crowded. Well, it was in mid summer vacation. I tried not going to Monzeki street, that is beyond the Shin-Ohashi street. But I went to there at last. First of all, we went to Tsukiji Yoshino. The shop stands a maze of streets, so it is hard to arrive at the shop without asking anybody on the way. This shop was so small. One counter for 3 persons, one table for 4 persons(but it was so small for 4 persons, it was good for 2 persons). 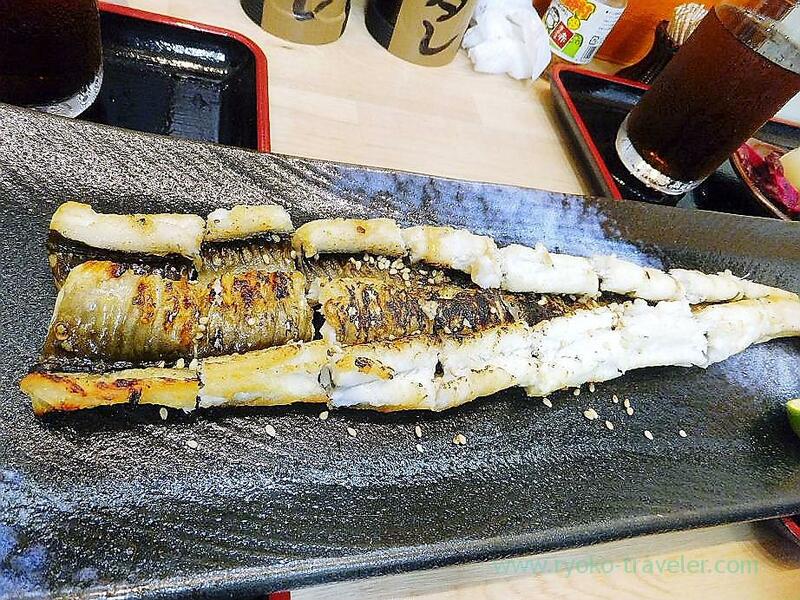 I sat down at the counter, I saw conger being grilled, grilled conger dipped into sauce close to. It was fun ! 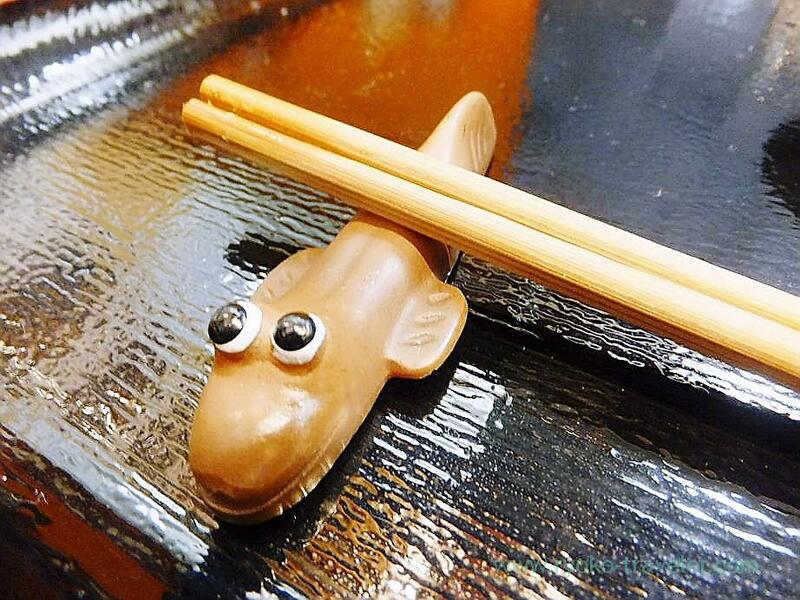 Well, I ordered an Anago-no-bakashi (穴子のばかし, 1500 yen). 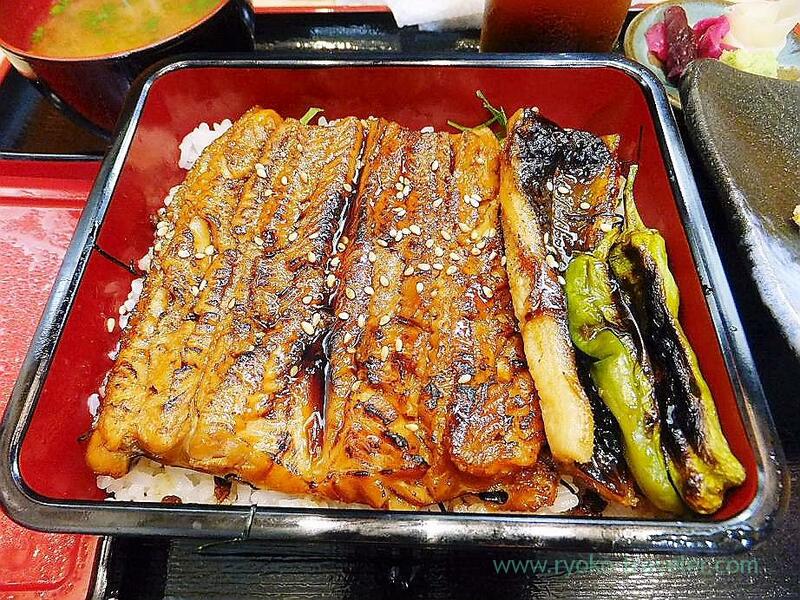 About this dish :Steamed conger (anago) with soy sauce on a bed of rice in the box. 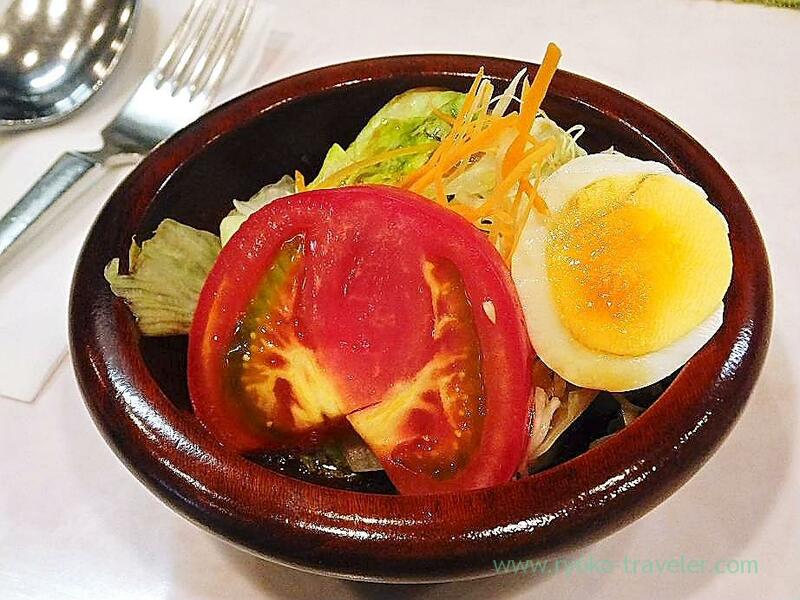 That’s shirayaki (白焼き, 2000 yen). My friend ordered it. 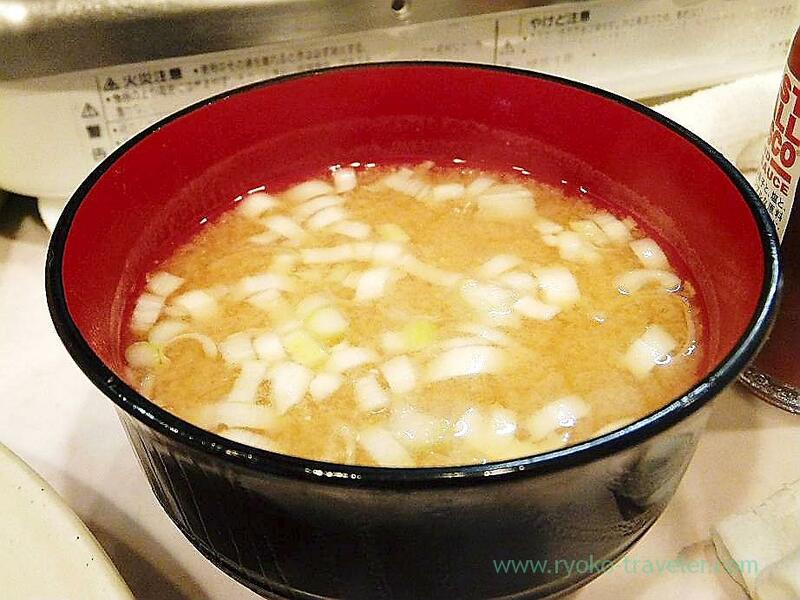 shirayaki is way of cooking that grill with salt only. Next, we went to eat kakigori at Ginza. It is Chinese tea shop that named Santokudo. Teahouse is upstairs. They sell Chinese tea on the ground floor. 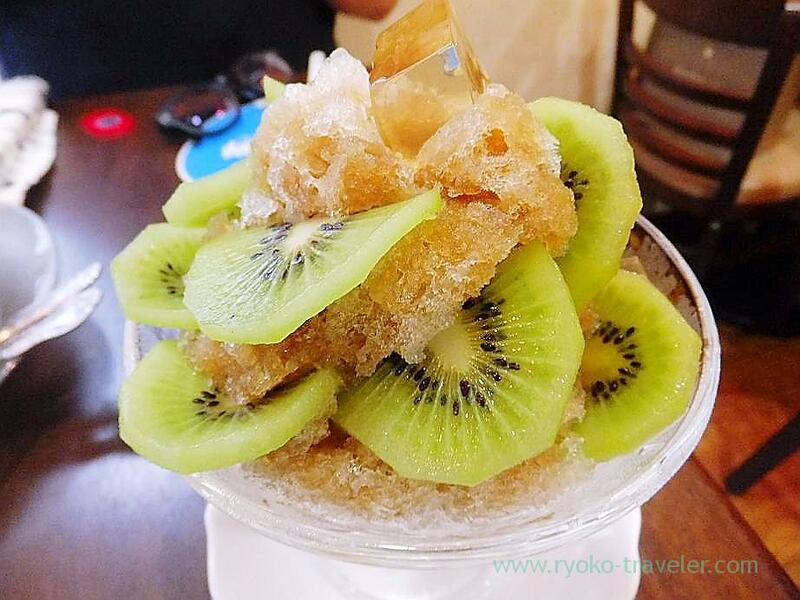 Slices of kiwi stuck to shaved ice. Jelly on it is made from ficus pumila var. awkeotsang. Ficus pumila var. awkeotsang grows wild in Taiwan. Muscovado syrup was so good 🙂 It was sweet. 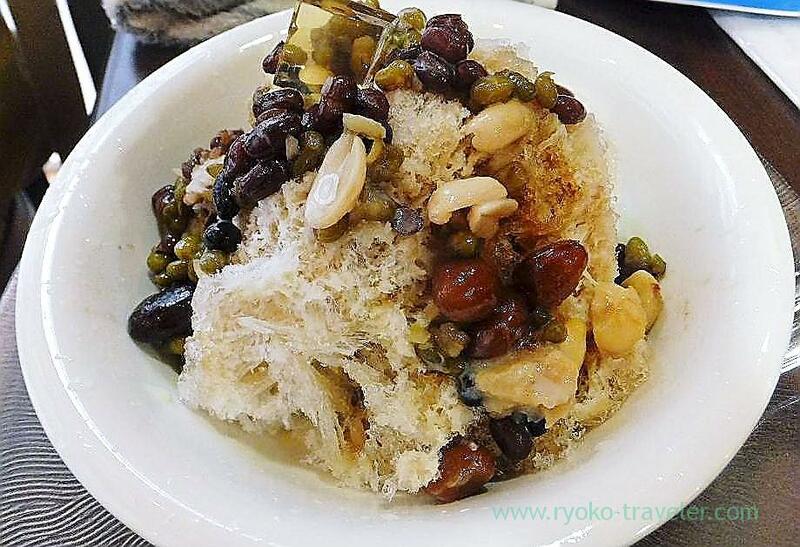 I hadn’t ever eaten shaved ice by muscovado syrup, but I found it goes shaved ice well. It was sweeter. I ate shaved ice with beans. It had jellies, too. It rained heavily in this day morning, and suddenly it began to clear and raised the temperature. So, we went to Four season. My longing spaghetti at Four Seasons. At first, I intended to order Neapolitan, but I tasted curry spaghetti. So, I felt like eating other type of sauce. 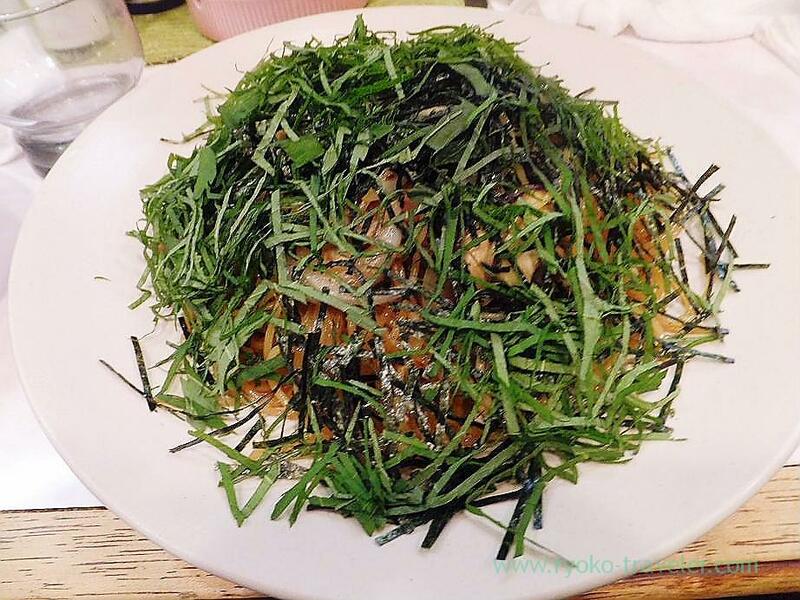 And I ordered a Wafu spaghetti (和風スパゲティ, 820 yen). The spaghetti was covered with slices of perilla frutescens. At first, I thought it tasted only perilla frutescens, before eating it. But it didn’t. On the contrary, this much perilla frutescens made freshen my oily mouth. Much oils were used in this spaghetti. 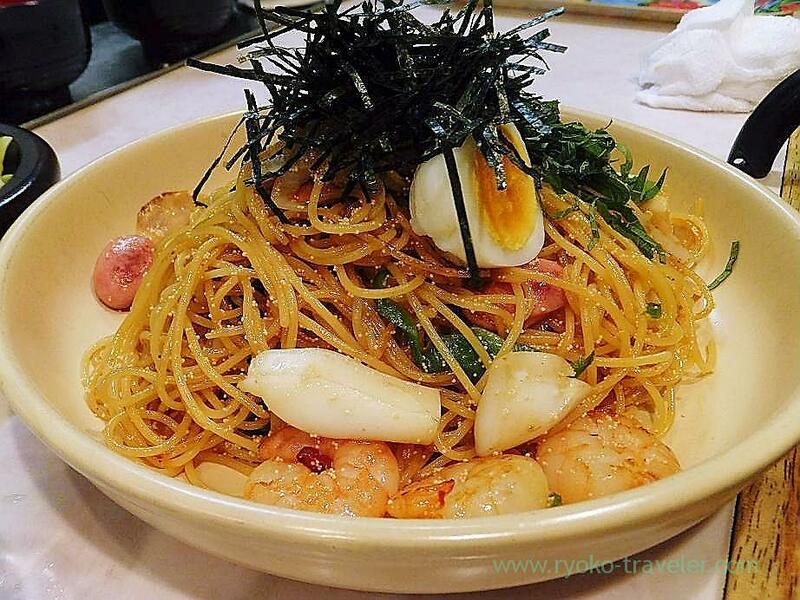 Spaghetti with squid, shrimp and tarako (いかとえびとたらこ, 870 yen). My friend gave me a little, it tasted good, too. I saw naporitan after I ordered my wafu spaghetti, I was a little sorry for not ordering naporitan. It was so good looking. I want to eat naporitan next time!